Letsbutterfly is a workflow management app for real estate agents. It runs on laptop and mobile devices. Their services include lead generation, document signing, selling, and transacting on the blockchain. Photos taken during a walkthrough can also be used to extract features needed in promoting the property. Voiceter Pro is a conversational search company that enables users to filter product choices when exploring real estate options. Its search products support Microsoft’s Cortana, Amazon’s Alexa, and Google Home to enable brokers and agents to convert customers’ voice searches into qualified buyer, seller, and renter leads. No Agent is an end-to-end digital property management platform designed to give landlords more visibility and control of properties. For a fixed monthly fee, landlords can use the platform to have their property listings advertised on popular portals like RightMove and Zoopla. Other services include credit checks, repairs management, rent collection, and legal guidance. Using precision mobile mapping techniques, Seeable makes real and digital asset information available to a broader audience. They create augmented and virtual reality apps that display environments in an intuitive game-like environment. Customers can view their custom 2D and 3D applications across a variety of digital platforms. At Purplebricks, property sellers can find specialized real estate agents in their area to help them arrive at the best price for their property. Their team is available 24/7, providing clients with professional photography, 3D mobile and web-based virtual tours, and floor plans. They market each home by listing it on major portals such as Zillow, Trulia, and Realtor. Other services include yard signages, photobooks, and social media advertising. Atlant offers a blockchain solution to property asset ownership. Tokens in the Atlant blockchain represent shares in individual real estate assets. The distributed nature of the technology enables trading in portions of the assets in a transparent manner. The blockchain maintains a record of all transactions and commentary involving a property to minimize the possibility of fake reviews and forged ratings. In the UK, tenants pay one into three tenancy deposit schemes where their funds are held until the end of the agreement. Reposit offers a cheaper alternative by allowing tenants to pay a non-refundable fee worth a week’s rent. It’s convenient for both tenants and agents since the latter gets to let property faster, earn commissions more rapidly, and have a lower void period than with conventional transactions. MoveBubble is a property rental app that gives renters access to new properties and instant updates on their favorite ones. They can view agent ratings provided by other renters and offer their feedback from their experiences as well. The platform is paid by agents so renters can enjoy the service completely free of charge. 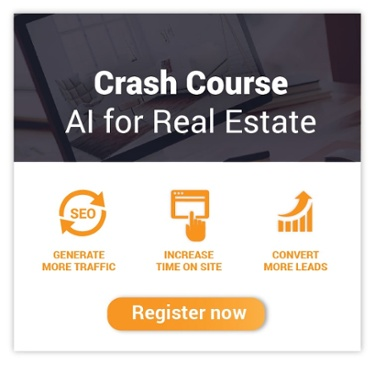 VR Listing is a full-service real estate marketing business with a twist: it uses a full suite of immersive technologies to put prospective buyers right at the properties. VR Listing develops a digital package for real estate agents that can include Virtual Reality tours, drone footage, interactive floor plans, and more. Clixifix is a web-based repair resolution platform using customer care software for both construction companies and their clients. Clixifix provides a channel where all stakeholders – home buyers, principal contractors, and subcontractors – can communicate with each other to manage defects, repairs, and customer care issues.